Our fabulous photo booths will prove to be a great addition to your evening’s entertainment. You and your guests will love the opportunity of putting on our fun props and taking unique photos with friends and family in our great photo booth. Features include unlimited and instantly printed high quality photos for the hire duration, green screen facility, video messaging facility and all the latest high tech equipment. 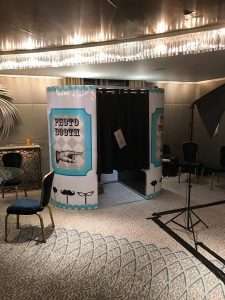 Photo Booth Crazy specialise in hiring photo booths for all kinds of celebratory event including birthday parties, weddings and corporate events. Guests both young and old will enjoy dressing up with the many props provided free of charge with each photo booth hire. Our photo booths feature the latest technology producing high quality digital images and sublime colour prints ensuring your memories will last for years to come. 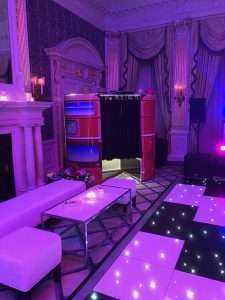 Our photo booths can be wrapped in customised skins allowing the booth to be branded to match your company logo to increase the visual impact or personalised to your weddings colour scheme, the possibilities are endless. The photo booth is fully dismountable allowing access to awkward areas and will be assembled on site. All that’s needed to power the unit is a standard 13amp wall plug. 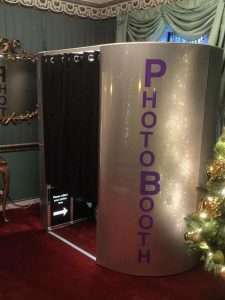 Our modern, funky & minimalist Social Media Booth provides all the fun of a photo booth with printed photos and can also send your photos direct to your social media, email or phone. The booth features led lighting and personalisation options.